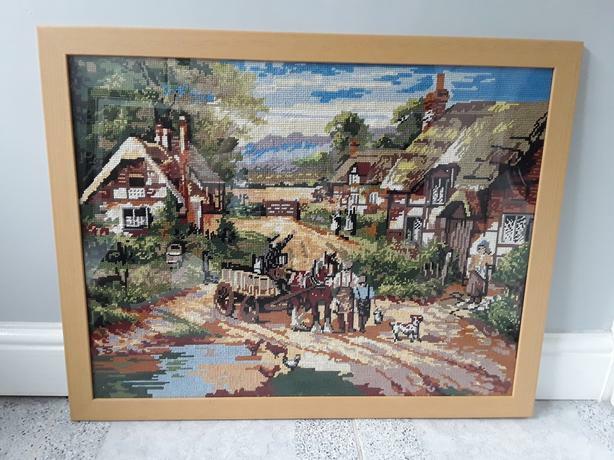  Log In needed £10 · Handmade tapestry picture in beech coloured frame. Countryside scene. Professionally framed. Lovely picture only selling due to a change of colour scheme.